CREATOR DON LEVINE'S HAND-CRAFTED "G.I. 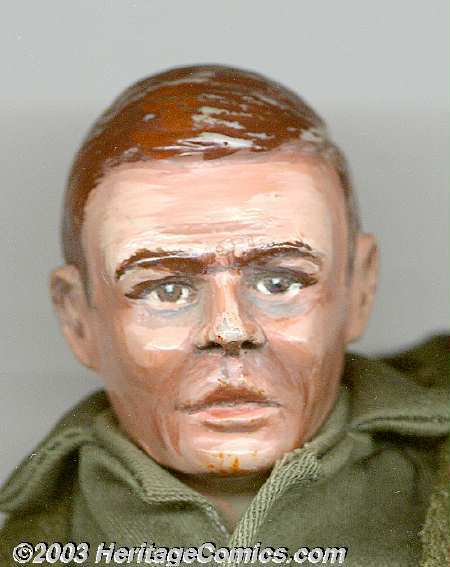 JOE"
In 1963, Hasbro Creative Director Don Levine shepherded the concept of an articulated military figure (from an original idea by Stan Weston). Based in part on articulated wooden mannequins used by artists, the figure would expand the "toy soldier" concept with a "movable" man of action that could hold a rifle, crouch in a foxhole, and generally assume almost any pose that a real soldier could. The 12" figure consists of a plastic body with wire-spring joints, and a hand-painted plastic head that was created by pulling a temporary mold from a carved wooden original. 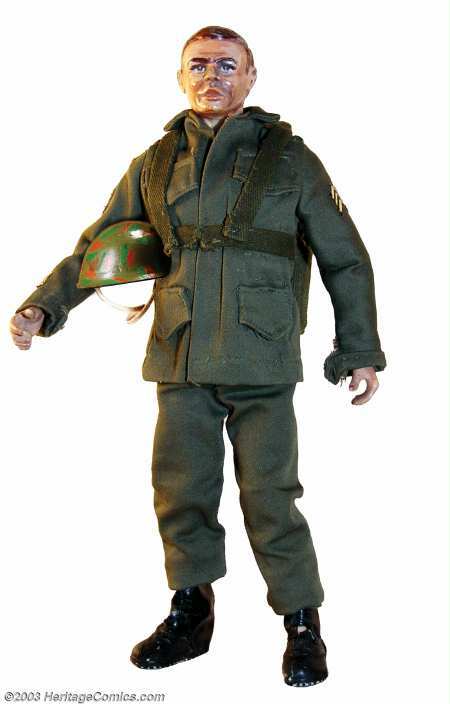 The hand-sewn uniform consists of olive-drab fatigues, field jacket with chevrons, backpack, hand-sewn black boots and plastic combat helmet.